While EMV technology was intended to thwart credit card fraud, recent studies show fraud continues to rise; so Chargebacks911 advises merchants and issuers to leverage technology and expertise to prevent losses and protect revenue. 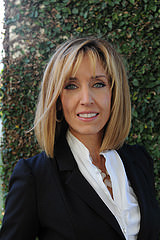 Monica Eaton-Cardone, co-founder and Chief Operating Officer at Chargebacks911, provides solutions to prevent fraud. Though EMV chip cards have been hailed as an important step in combating counterfeit card fraud, recent studies show credit card fraud has continued to rise following the October 2015 liability shift that marked the technology’s wide-scale rollout. Issuers alone had $10.9 billion in card fraud losses last year,(1) fraud attacks against eCommerce merchants jumped 215% from first quarter to fourth quarter(2) and even traditional brick-and-mortar retailers experienced a 50% increase in chargebacks for card-present transactions since October 1. (3) To combat growing losses and evolving forms of fraud, dispute mitigation and risk management firm Chargebacks911 urges banks and merchants to employ a multi-pronged approach that combines advanced technology and human expertise. In the LexisNexis survey, 78% of issuers indicated they expect to make significant investments in fraud mitigation over the coming year, and 83% of that group plan to invest in new fraud mitigation tools. (1) Eaton-Cardone applauds this move as an important step in reducing fraud throughout the payments industry. She advises issuers to incorporate dynamic data sources and biometrics into their fraud mitigation arsenal, emphasizing this can also benefit merchants. By leveraging the microphones, cameras and fingerprint scanners that are built into many computers and mobile devices, she says issuers can readily implement voice recognition, facial recognition and/or fingerprints to verify cardholders’ identity and keep their accounts and online transactions much more secure. Eaton-Cardone counsels merchants to employ a multi-layer solution, including tools and strategies to verify customers’ identity and location, combat hacker and botnet attacks, protect against affiliate fraud and mitigate chargebacks. Since chargebacks can come from three different sources—merchant error, criminal fraud and “friendly fraud” (or consumer fraud)—Eaton-Cardone says it is vital to understand the reason for each chargeback and take steps to address it. A compliance review can pinpoint chargeback triggers that are within the merchant’s power to correct and control, while tactical representment can help win disputes that stem from friendly fraud. Merchants can learn more by requesting a free chargeback analysis or attending one of Monica Eaton-Cardone’s presentations on best practices for fraud prevention. She will be speaking at the upcoming Ticket Summit in Las Vegas and the Affiliate Summit East in New York, and is also available for interviews and future speaking engagements. Chargebacks911 is a division of Global Risk Technologies, which is internationally recognized as a leading provider of comprehensive risk management solutions to the payment processing industry. With offices in Europe and the United States, Global Risk Technologies manages over 200 million transactions worldwide each month. Chargebacks911 is headquartered in Tampa Bay, Florida, and specializes in chargeback mitigation and dynamic loss prevention. Founded by merchants in direct response to rising chargebacks and friendly fraud, Chargebacks911 combines insider expertise with proprietary technology and deep analytics to isolate threats, resolve disputes and maximize revenue. From small merchants to the nation’s largest retailers, today thousands of businesses rely on Chargebacks911’s scalable, customizable and fully turnkey solutions to achieve sustainable growth and guaranteed ROI. For more information, visit http://chargebacks911.com.